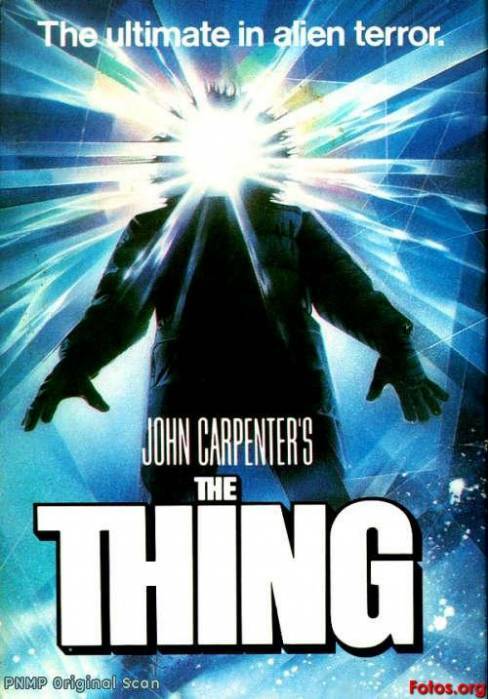 This cover makes the film look A LOT scarier than it is. Horrors Of The Red Planet was first released as The Wizard Of Mars which hints at the film’s take on The Wizard Of Oz and has also been released as Alien Massacre. When watching the film I completely missed this homage to L. Frank Baum’s classic children’s book but reflecting on it I don’t know how. Horrors Of The Red Planet even has a golden road! Horrors Of The Red Planet tells the story of four astronauts who crash land on Mars with only enough oxygen to last for four days. Rather than wait for a rescue team that may or may not be coming, they decide to try and find the main stage of their rocket which was lost during the crash. The team consists of Dorothy (How did I not see this reference?!) played by Eve Bernhard, who seems to bring very little to the space mission except a pretty face (I guess it was the 1960s…); quick to anger Charlie (Jerry Rannow); Doc (Vic McGee) who is filled with some very spurious science; and the leader Steve (Roger Gentry) who is probably the most wooden of all the terrible acting. The four head out to Mars taking little with them, a raft, a gun and some very flimsy looking spacesuits. It is a good thing that a) the gravity on Mars is the same as Earth’s, b) there is water on Mars for the raft and c) the Martian atmosphere, whilst thin, has enough oxygen to boost their limited supply and contains no poisonous chemicals. Whilst on the hunt for the rest of their rocket the team encounter various trials, which I’m assuming are the ‘horrors’ mentioned in the title. Such horrors include large leech-like amphibians more akin to Pokémon than monsters and the inside of a volcano. The team make it safely through the volcano only to discover that the signal the were receiving was emitted by an older unmanned probe. After giving up hope, a storm uncovers the ‘golden road’ which leads them to an ancient and uninhabited city, presumably a version of the Emerald City. Up until this point the film was pretty enjoyable with very dubious science and only slightly better special effects. The special effects featured the budget director’s methods of choice including blatant cutaways to stock footage and poorly applied overlays, especially for the volcano. Unlike The Deadly Bees though, there was some attempt at consistency, for example the sky on Mars always appearing red (although an obviously painted landscape). This may also have been a reason why so much of the film takes place either in a cave or in a city without windows. 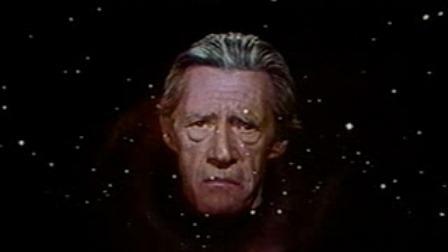 The second part of the film however is less good and is taken up primarily by John Carradine (The Grapes Of Wrath) as “The Wizard of Mars” doing a very boring monologue to camera whilst superimposed on a picture of a galaxy. What follows this is clearly a rush job in which director David Hewitt running out of time and having no ruby slippers as in the original tale as well as taking advantage of giving the only well-known actor (Carradine) as much screen time as possible. This is pretty much the last 20 minutes or so of the film. It is no surprise that Horrors Of The Red Planet was first released as a TV movie. The first half is pretty enjoyable with the poor special effects and bad science, it is definitely not a movie to take seriously nor would I recommend it for realism. However the poor second half really lets it down, so if you are going to watch it I would stop at the appearance of Carradine’s large translucent head.